The arrest of a Huawei executive wanted in the U.S. on fraud allegations was without political interference, Chrystia Freeland said Wednesday. The federal foreign affairs minister addressed reporters the day after the Chinese telecommunications company's chief financial officer was released on bail in Vancouver. 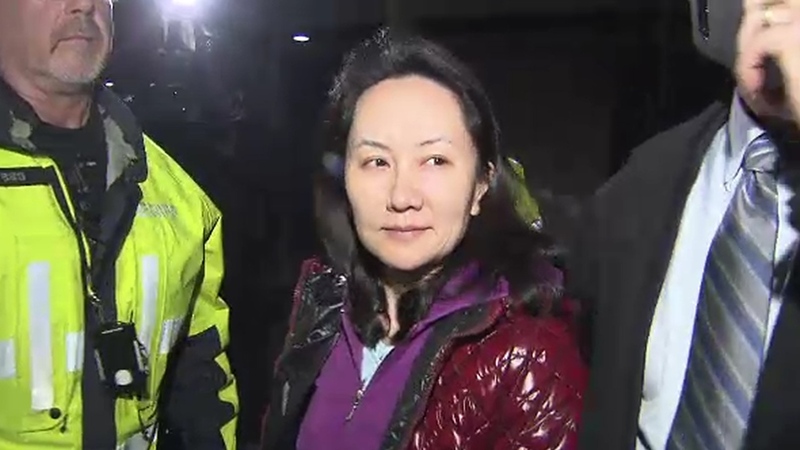 Meng Wanzhou spent more than a week in police custody as a judge weighed arguments from the Crown that she could be a flight risk, but left court Tuesday night under strict release conditions. The CFO of Huawei, a company founded by her father, was arrested during a layover at Vancouver International Airport earlier this month as China and the U.S. tried to resolve escalating trade tensions. "Ms. Meng was arrested pursuant to Canada's extradition treaty with the United States," Freeland said Wednesday of the arrest. She said Chinese authorities have been made aware of what has gone on and of the process, and will continue to be updated of any further developments. Comments by U.S. President Donald Trump, who has suggested he might interfere in Meng's case if it would benefit a broader trade deal, have fuelled theories about Canada's true intent, but Freeland touted rule of law and the impartiality of Canada's courts on Wednesday. "There was no political involvement," she said. Meng will be required to stay in the Vancouver area as she waits to learn whether she'll face an extradition hearing, and on Wednesday was visited by a representative from the Chinese consulate. The U.S. alleges Meng used a shell company to violate the U.S.-European Union trade sanctions against Iran and deceived banks about the relationship between Huawei and subsidiary Skycom. No charges have been laid against her, however, and American officials have not submitted documentation for Meng's extradition request. They have 60 days to do so. If her extradition is requested and it is determined that the legal threshold has been met, Canada's attorney general will make the final decision. Meanwhile, Meng will remain in the Vancouver area following her release Tuesday night. She had nothing to say to reporters as she was escorted into a black SUV by sheriffs and her personal security team, hours after B.C. Supreme Court Justice William Ehrcke granted her $10 million bail. Supporters who have been lining up for a spot in the courtroom to watch the proceedings this week cheered the judge's decision, though immigration lawyer Richard Kurland said the process could be far from over. "The reality is, she better get used to Vancouver weather because she may be here for years subject to the conditions of release while her extradition process unfolds," Kurland told CTV News. "Extradition is a long, complex process that involves many steps and appeals." Meng, who maintains her innocence, is required to wear an ankle bracelet and remain under around-the-clock surveillance. She has also surrendered both her passports. While the 46-year-old is allowed to limited travel through an area spanning from Richmond to the North Shore, she has an overnight curfew, during which she must remain in one of her two Vancouver homes. On Tuesday night she was driven to her property in the Dunbar neighbourhood, where some of her most ardent fans have been dropping by to express their support. "I think the U.S. is crazy," said a man named Amoo Bao. "I don't think Ms. Meng has any criminal activities." Meng is scheduled to return to court on Feb. 2 for further proceedings. 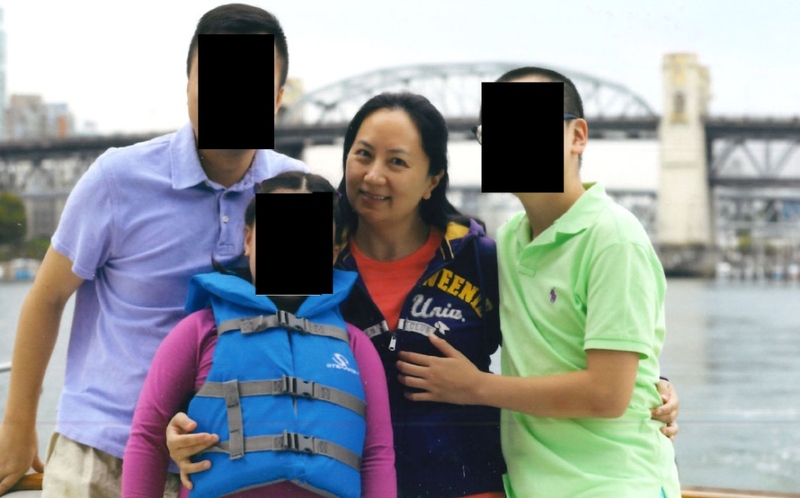 Defence lawyers for Huawei senior executive Meng Wanzhou submitted images of her visiting various sites in Vancouver to argue that she has ties to the Canadian city.